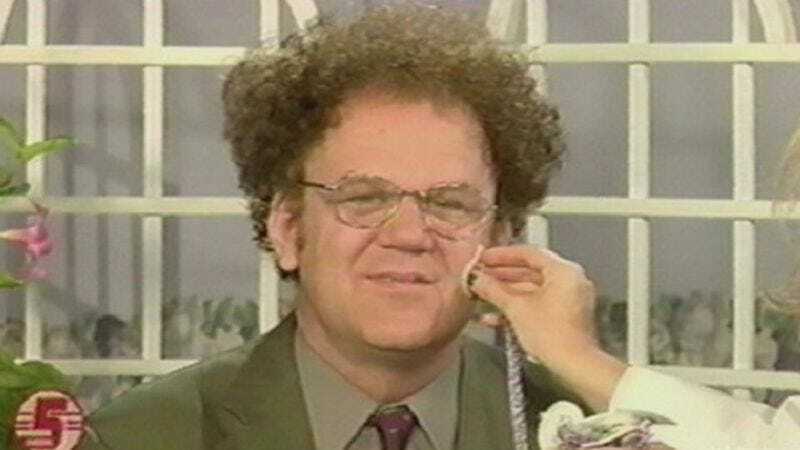 Dr. Steve Brule, the deranged man-child birthed from the mind of actor John C. Reilly and midwifed by weird comedy doulas Tim Heidecker and Eric Wareheim, is making his way back to TV. During an interview promoting their new book, Zone Theory, Heidecker and Wareheim announced that a fourth season of Check It Out!, the news magazine parody that subjects the world—and unsuspecting interview subjects—to Brule’s wide-ranging, genial ignorance, is currently in the works. Brule last appeared on TV screens in January, when Adult Swim aired Bagboy, a half-hour special presented as an episode of a sitcom written, directed, and starring the good doctor, and staffed with many of the outsider actors who populate Brule’s little branch of the wider Tim & Eric universe. Check It Out! last aired new episodes in 2014, with Brule bringing his semi-improvised naivete and desperate need for companionship to topics like “Horses,” “Children,” and “Home.” The new season should air some time in the first half of 2016.